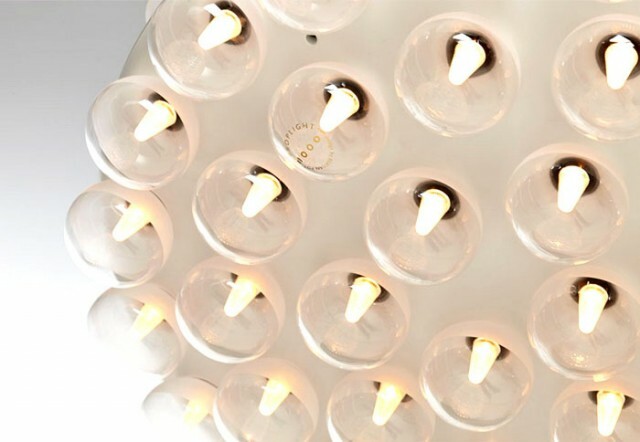 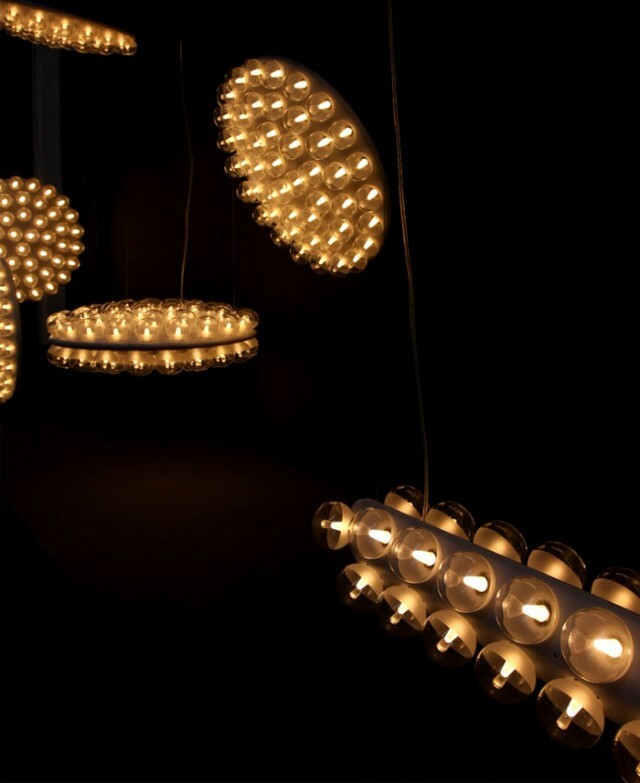 Here is Prop Light, a lamp created by Dutch designer Bertjan Pot. 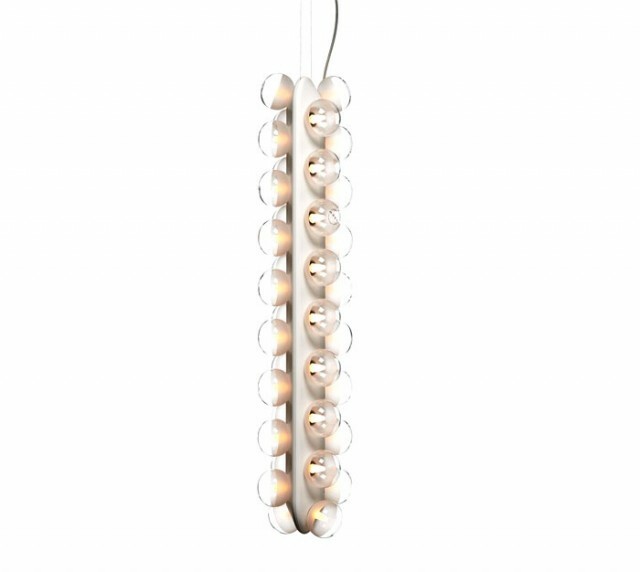 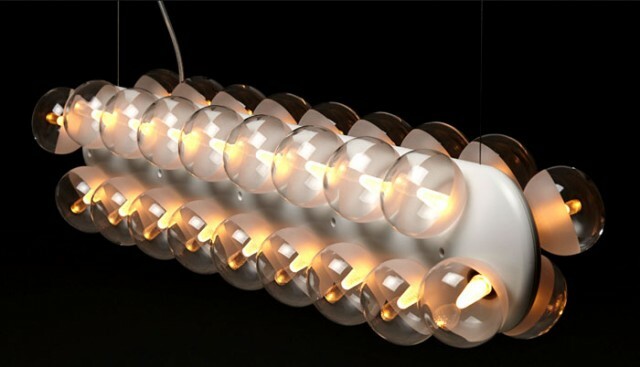 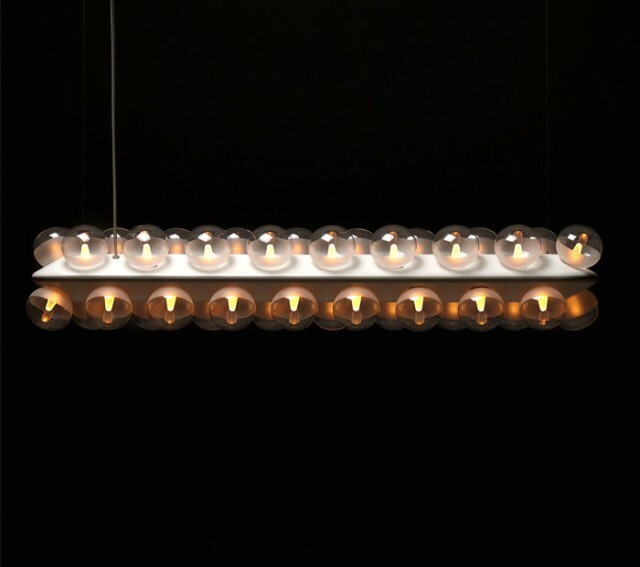 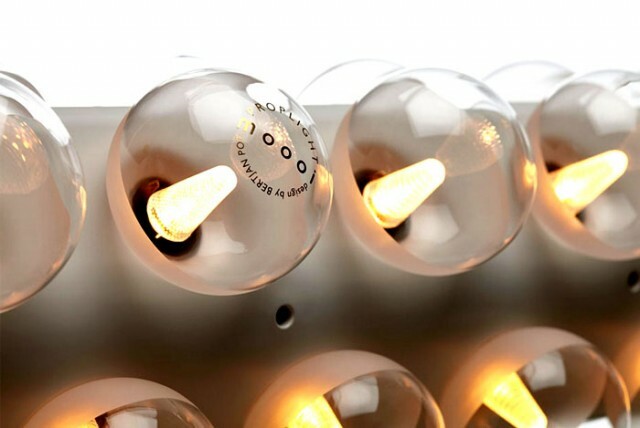 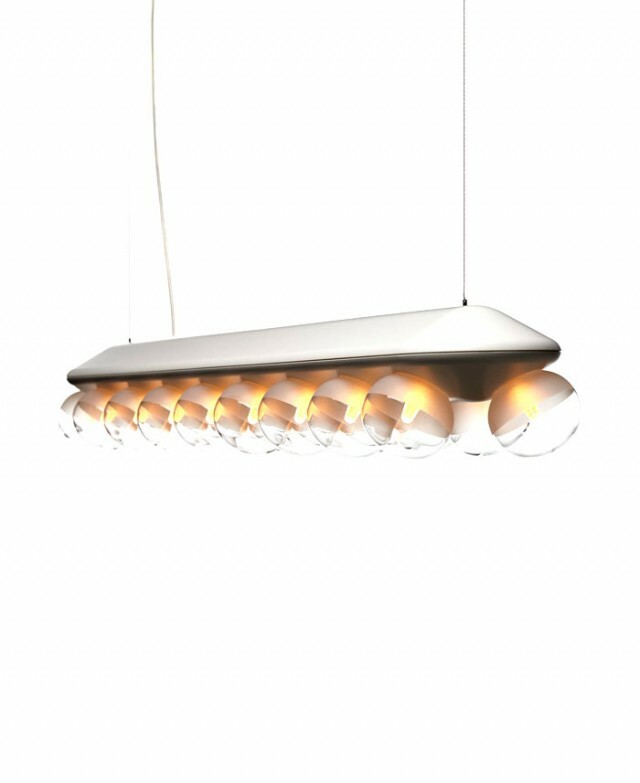 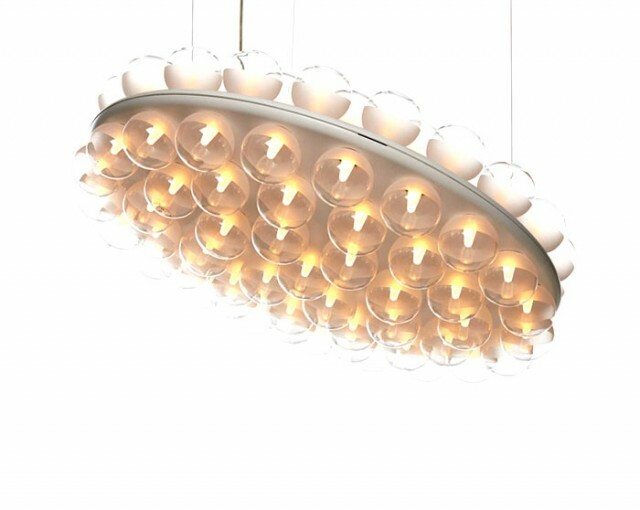 It has many variations: in horizontal and vertical tube-shaped or disc-shaped, the lamp features a multitude of round bulbs which is an effective source of light and dress its environment with elegance. 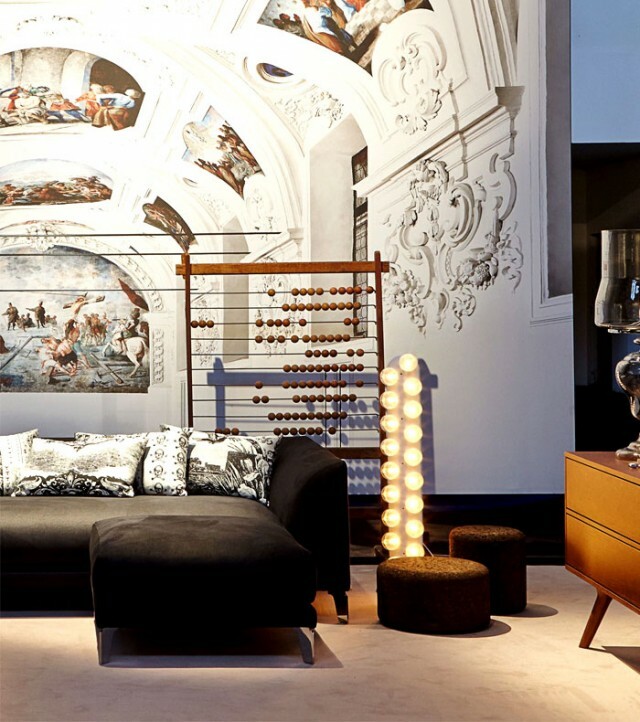 This work is available for purchase on the website Moooi.